The eagle-eyed amongst you may have spied that it is, indeed, Monday, not Sunday. 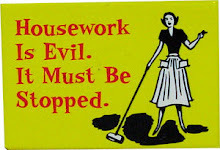 I am making a bit of a habit of this just lately (I blame Christmas preparations which do seem to be rather taking over). I don't actually have any visible progress on my latest project to show you, but I have been getting more inspiration, from a lovely book (which is a Christmas present to me from Chris, but which I couldn't resist having a sneaky peek through). It has some lovely designs which sent my brain whizzing again! Details can be found here. How about this for my design? Perfect, isn't it? Then I noticed this one as well. I think the seed stitch is so effective here. 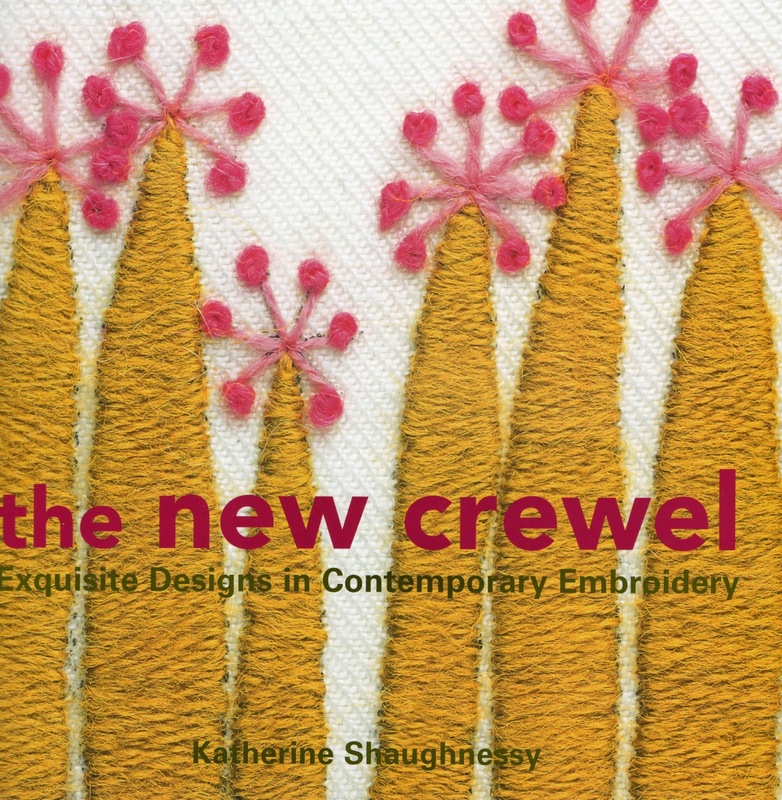 There are lots more fabulous designs in the book, which I'll save up for other projects. 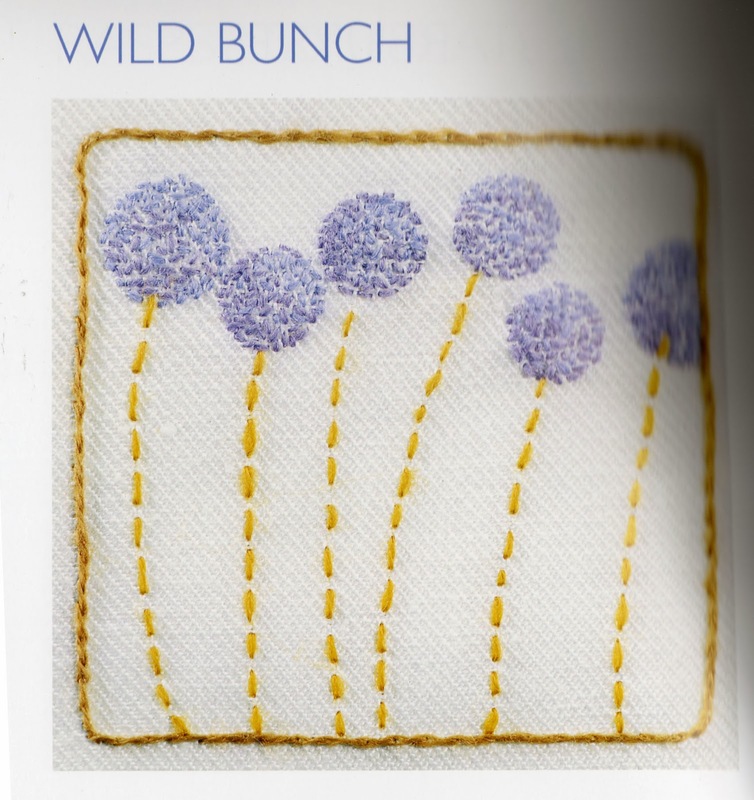 I think I need to sketch out a design for my felt piece - I could just dive into the embroidery, but I think I would be happier with some sort of basic plan. That's my next job and hopefully, next Sunday I may have even started the stitching and have something to show you! Thanks, Chrissie. From my very brief flick through, I would say, definitely add it to your wish list. There are lots of little projects with some lovely retro designs which could be easily incorporated into lots of things. I am looking forward to having a proper look on Christmas Day! Thanks, Gillian. 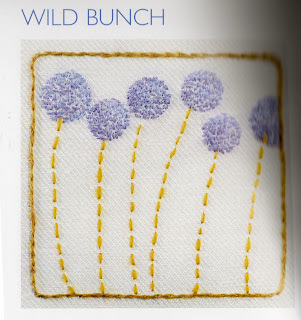 I think the seed stitch idea could also give a feel of dandelion heads too. I think I would be spending a lot of time unpicking if I didn't have some kind of rough plan! Oh wow, that's perfect for your felt piece! So nice to know what to do next, isn't it? Thanks, Mirjam. Yes, indeed it is - especially when it has taken me two years to get to this stage! I hope my interpretations will look as good as this one. They are all gorgeous Ellie, I will forgive you for confusing me! I keep thinking today is sunday anyway because I have had the day off work to take my dad to a hospital appointment. Thanks, Anne. They are lovely designs and there are loads more in the book, but I will have to wait until Christmas Day for that! Sorry I muddled you up! I hope the appointment went well and you didn't have to wait for too long. Thanks for your kind compliments on Rocky. I like your stitching in this post very much. Especially the first picture. Thank you, Brigitte. 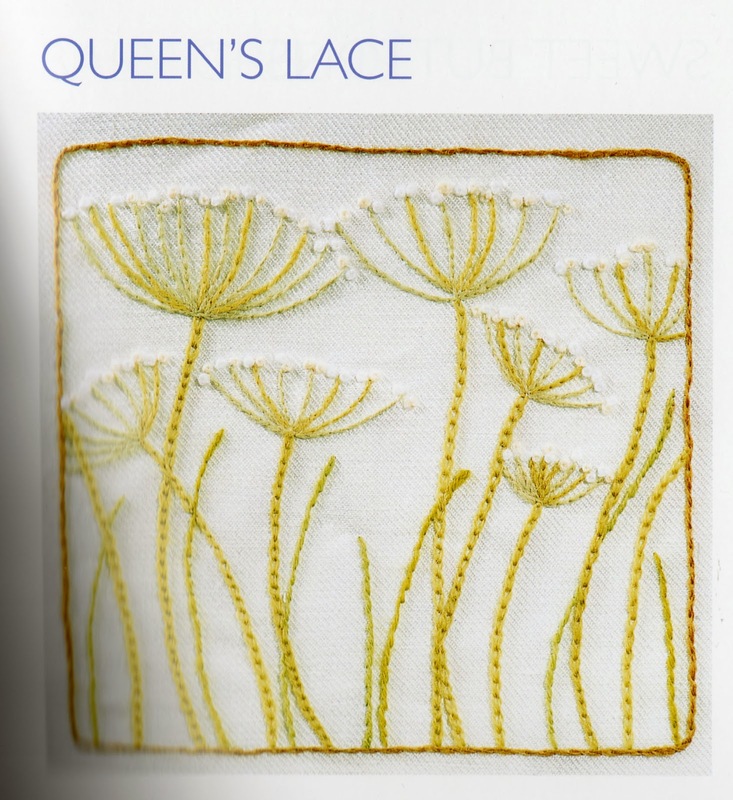 I wish I could say it was my stitching, but it is from the book! I am going to try some stitching like this though. Rocky the reindeer was great! Thanks, Joy. It does look to be a lovely book (not that I have really been able to study it, of course!) 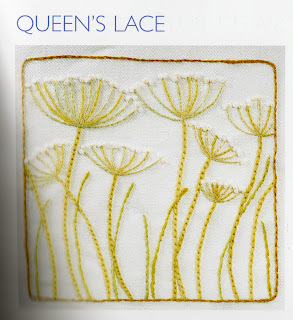 I am hoping to have made a start on some stitching by the weekend. Thanks, Hannapat. 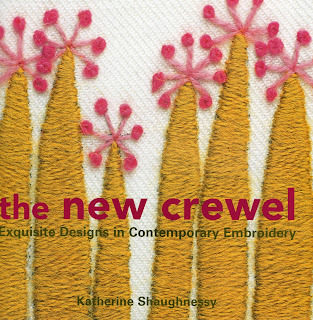 It is a lovely book and I am looking forward to starting work on my design. I am really enjoying the embroidery I've been doing. Thanks, Tracy. Mine is nearly ready and I am going to email my recipient to check all is OK with her as I don't think she is physically very well at the moment. I'll post what is sent and received as soon as we have completed the swap. Finally...the Christmas Tree is up!